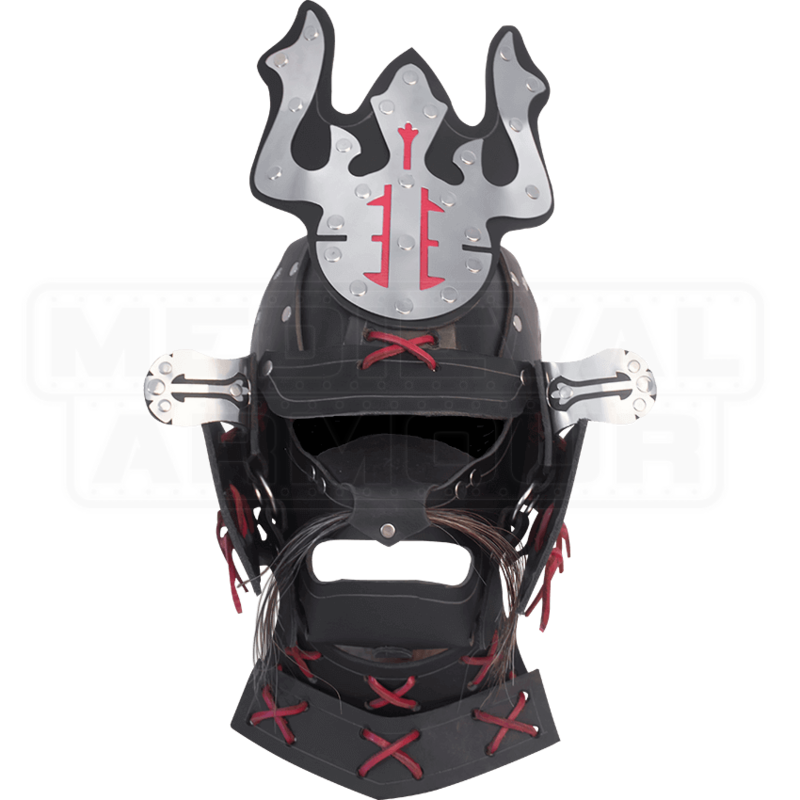 Brilliantly reproducing the ornate helmets worn by the elite Japanese warriors known as samurai, the Leather Samurai Helm is an exceptionally eye-catching helmet perfect for LARPers who desire an out of the ordinary persona. This leather helmet is crafted in a plated design which fastens through the employment of leather laces, allowing for an adjustable and comfortable fit. 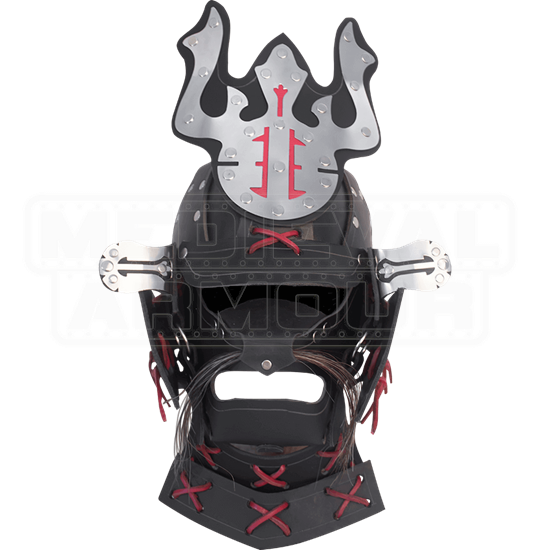 A spectacular Mempo, face shield, is included with this armor and is detachable for those who prefer an open face design. Magnificent gleaming stainless steel accents adorn the forehead and temples of this design, enhancing its authentic appeal. Both the helmet and Mempo are crafted from 9-10 oz. leather, providing ample protection while maintaining flexibility. Assume the honorable role of a samurai and distinguish yourself as a LARPer by wearing the Leather Samurai Helm.